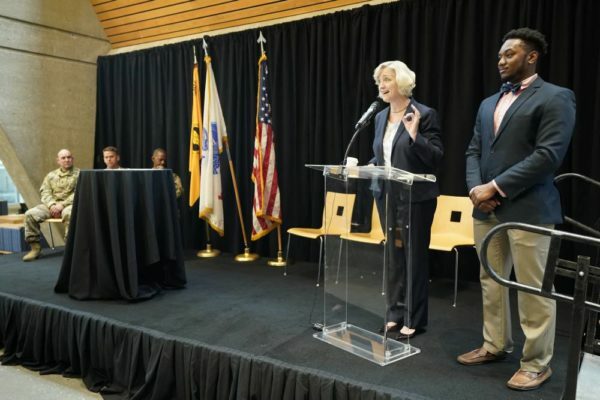 Army Futures Command and Vanderbilt University signed an agreement April 9 that links creative, innovative soldiers with top-tier Vanderbilt University experts so that ideas quickly can become useful products. Leaders from the two groups say this five-year education partnership agreement is a potential model for military-academic collaboration across the nation, not only on research and design of new technology, but also to promote greater understanding among institutions. It is expected to increase learning for both soldier and civilian students in STEM (science, technology, engineering and math), management, entrepreneurship and design, plus grant the Department of Defense more laboratory space and expertise to address modern challenges. The signing ceremony launched a full day of interaction between leaders of Army Futures Command – including Command Sergeant Major Michael Crosby and Command Innovation Officer Jay Harrison – representatives of the 3rd Brigade Combat Team, 101st Airborne Division from nearby Fort Campbell and Vanderbilt administrators and professors. 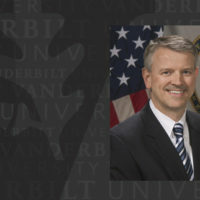 Crosby credited the 3rd Brigade commander, Colonel John Cogbill, with initiating the relationship between the Army and Vanderbilt after seeing the value of soldier-inspired innovation. Pairing soldiers with scientists and engineers can shorten the research-development-production process from months into weeks, or even days. “Having feedback from soldiers who have been on the battlefield, understanding their complex experiences, and putting that together with researchers is going to be invaluable for addressing real-life challenges to ensuring American soldiers dominate any future conflict,” Crosby said. After physical training with Vanderbilt ROTC students, soldiers toured the Engineering and Science Building and The Wond’ry innovation center and makerspace, later discussing with Zeppos, Provost Susan Wente and Vice Provost for Research Padma Raghavan how the agreement is likely to impact the future of both institutions. That includes determining specific design, research and educational opportunities that help each side. Wente introduced a number of researchers and explained how their work immediately can benefit soldiers. She also introduced Michael Davies, a senior majoring in mechanical engineering, who won a Department of Defense scholarship to work at Elgin Air Force Base on detecting and stopping cracks in aircraft wings. 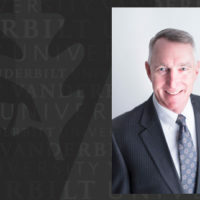 “He is the ideal example of how a Vanderbilt education can prepare our students to make real impact in the real world, and how someone at any point in their training or career can make an enormous difference,” Wente said. 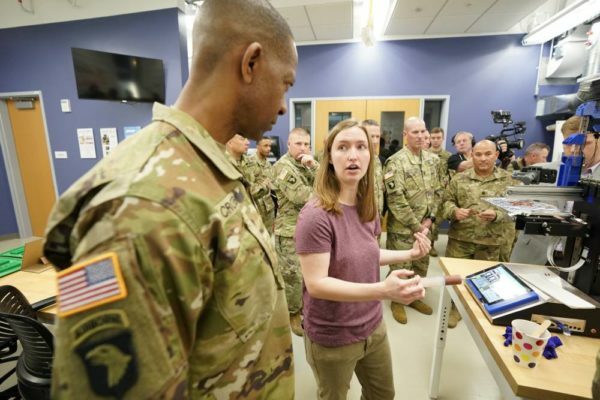 Headquartered in Austin, Texas, Army Futures Command went operational last year to more fully prepare Army leadership to understand future operational needs, predict and assess emerging threats and embrace state-of-the-art technology. Last August, both Vanderbilt and Army Futures Command got a preview of how the agreement could work when members of the Bravo Company 21st Engineer Battalion worked with Wond’ry advisers to design and prototype explosive ordinance housings. The advisers traveled to Fort Campbell a few weeks later for a field test, which was successful. Raghavan, who signed the agreement on behalf of Vanderbilt, said she’s delighted the Army appreciates Vanderbilt attributes that long have been recognized in the research community. “Our research is very curiosity-driven,” she said. “Either by design or by self-selection, it’s in our DNA. We’re always wondering what’s at the fundamental core of whatever we’re looking at, we’re willing to test anything and we’re not afraid to fail. Our labs are full of graduate and undergraduate students working night and day, on cross-disciplinary teams, solving problems at their core. Another recent highlight demonstrating the university’s commitment to the military was last year’s $25 million gift from the Lee and Ramona Bass Foundation to fund the Bass Military Scholars Program. 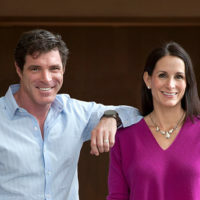 It provides financial aid and programming support for military veterans in five of Vanderbilt’s schools: the Law School, the Owen Graduate School of Management, Peabody College, the School of Medicine and the School of Nursing. The program will fund at least six scholarships for veterans starting in the 2019-2020 academic year. Once fully endowed, it will support a cohort of 40 students annually among the five schools and colleges. TweetAgreement between @VanderbiltU and @armyfutures, powered by soldier-inspired innovation, promises to speed R&D, production times.